Just in time for warmer weather, we are very excited to bring you our new Neal & Wolf summer collections. This new range takes the changing needs of your hair into account and offers up fresh new ways to treat yourself. Beautifully presented (and perfect for gifts) grab the right Duo for you today.Summer Radiate Duo celebrates blonde hair. No matter if your hair is naturally blonde or an artful creation of your favourite stylist, this range helps to keep it in top condition. We've packed in plenty of violet pigment to help maintain your blonde colour. The pigments in the shampoo and conditioner work to reduce the chance of the brassiness that can plague summer blondes. It's also hydrating and will help protect your hair against the drying sun. Summer Rejuvenate Duo is a masterful combination of our Harmony shampoo and conditioning treatment. Harmony has been designed to transform dry and damaged hair into soft and lush locks. The change that this powerful team can make is remarkable. As far as summer collections go, this pairing is hard to beat. Enjoy healthy and luxurious hair all through the summer months. Summer Energise Duo is the perfect combination for men and those with shorter hairstyles. The Men's 3 - in - 1 Cleanse and Condition provides a gentle all over body wash, shampoo and conditioner in one easy package. The fresh scent will brighten you up and keep both hair and skin soft and moisturised. We've also included our popular No. 5 Shape Pliable Paste, so you can style your hair in seconds. It offers a strong and flexible hold that maintains your hair's natural moisture and highlights its best styles. 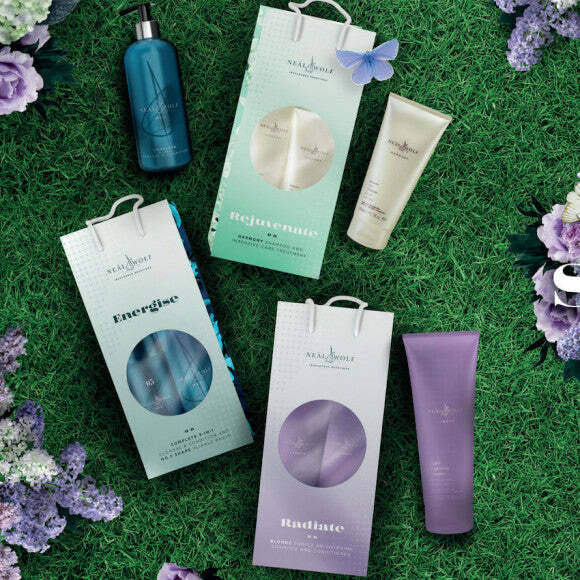 Our summer collections are here to make your hair care as easy as enjoying a summer breeze. You can also enjoy a 20% saving on our regular prices by purchasing any of these summer duos. We love the warm weather. Let us help you take care of your hair so you can make the most of it.